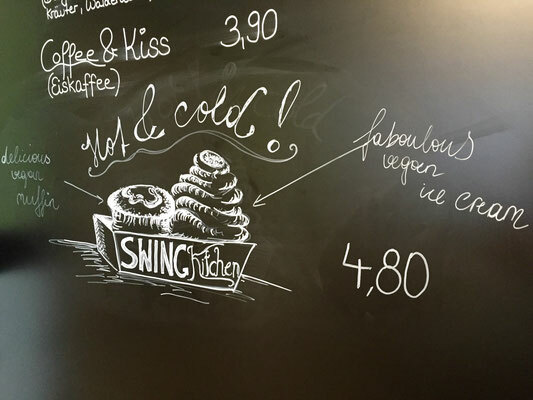 On a recent trip to the lovely city of Vienna, I simply had to eat all the yummy vegan foods and I for sure had to visit the one restaurant everyone told me to go to - Schillinger's Swing Kitchen. This article brought to you by Swing Kitchen by providing complimentary food. Affiliate links included. See disclosure for more. 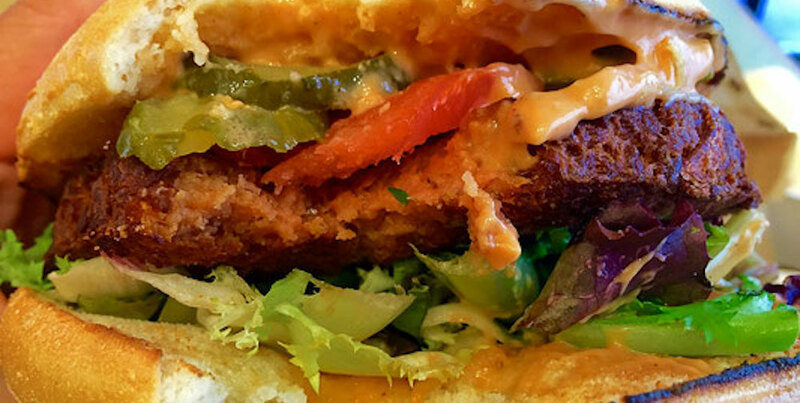 It's THE place to go for fast, fresh, and yummy vegan comfort food. 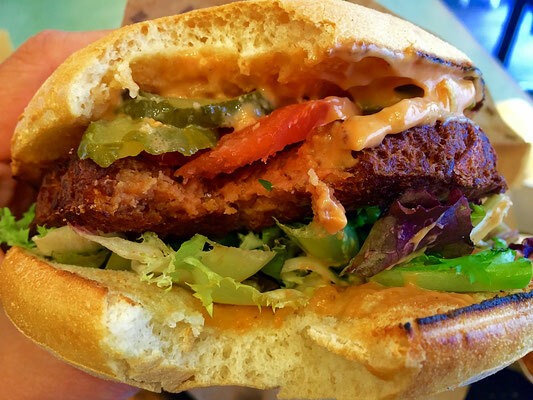 Try to keep me away from a veganburger anywhere in the world! 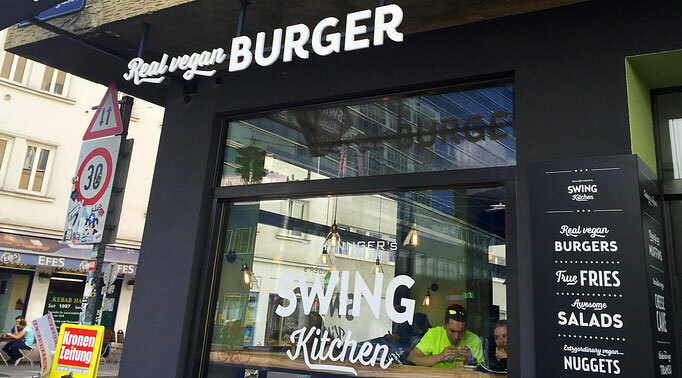 This place says 'real vegan burger' right on the building, and since I am a real vegan burger, well, it was just meant to be. I really loved the look and vibe of the restaurant. 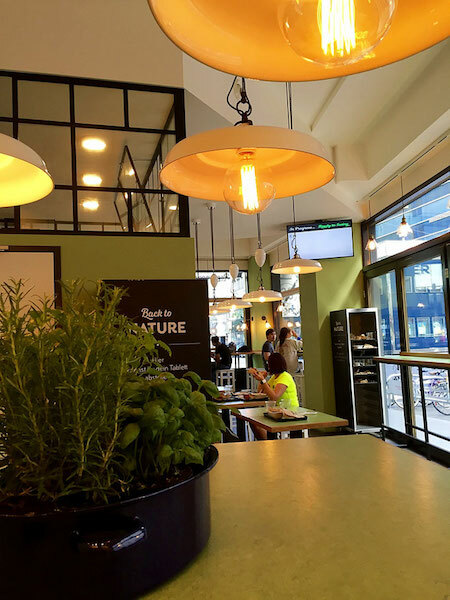 It has a clean, modern, fresh atmosphere with ultra cool hanging lamps, lots of bright whites and cool greens, and even complete with live plants adorning the tables, like basil and rosemary. They have a super fast counter service and then you can watch the status of your order broadcast on multiple screens so you know when it's ready. And my favorite finishing touch - happy, lively swing music playing to accompany your meal. Fun! This place is world famous for it's tasty burgers. 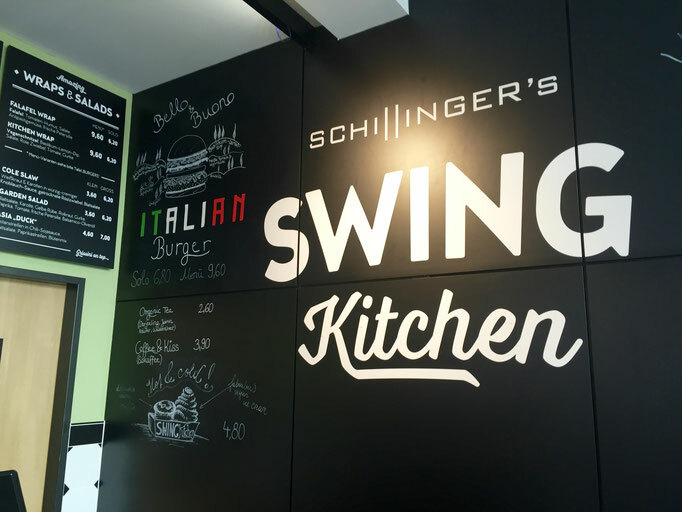 Choose from the swing burger, chili burger, vienna burger and cheese burger. 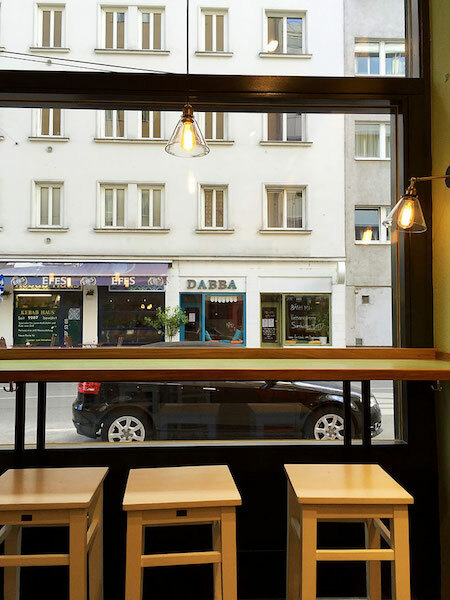 They also serve delicious wraps with vegan schnitzel and falafel. I definitely had to go with the classic swing burger: a soy burger patty, BBQ sauce, lettuce, tomato, pickles, and fried onions. Yum. Prefect amount of sauce on the top and the bottom. I would eat this everyday if I could. 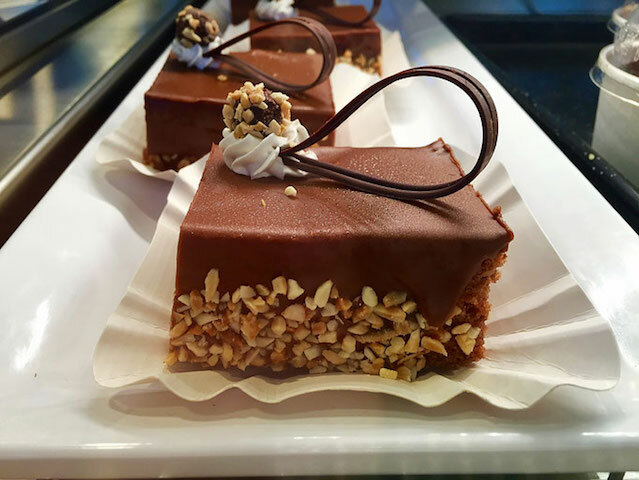 Just look at these pics and try not to drool. But it's not all burgers, folks! There are 3 fresh green salads to choose from: a garden salad, an asian duck salad and a cole slaw salad. 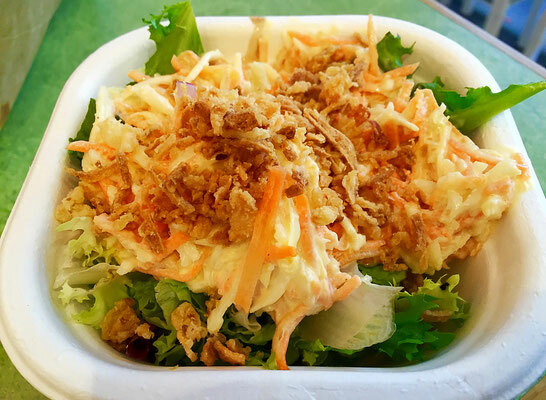 I'm a huge sucker for vegan mayo, so I tried the cole slaw salad, which was a combo of chopped cabbage & carrots in creamy garlicky mayonnaise-like sauce, on a bed of fresh greens, with crispy crunchy fried onions on top. I'm not even a huge salad fan, but I did eat every last bite of this guy. Classic sides to accompany your meal include the ever popular onion rings, french fries, and even vegan nuggets! Don't forget to try their awesome dipping sauces! 5 to chose from: Basil Lemon, BBQ, Chilli Tomato, Ketchup, and Garlic. 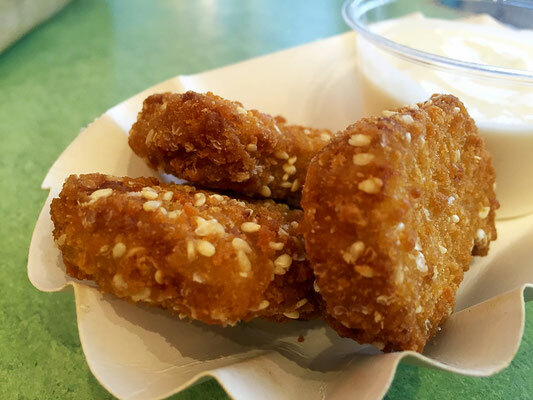 I got some nuggets and garlic sauce for dipping and they were divine. Crispy on the outside, tender on the inside, with a great chewy and flavorful umami texture. And now, the desserts! 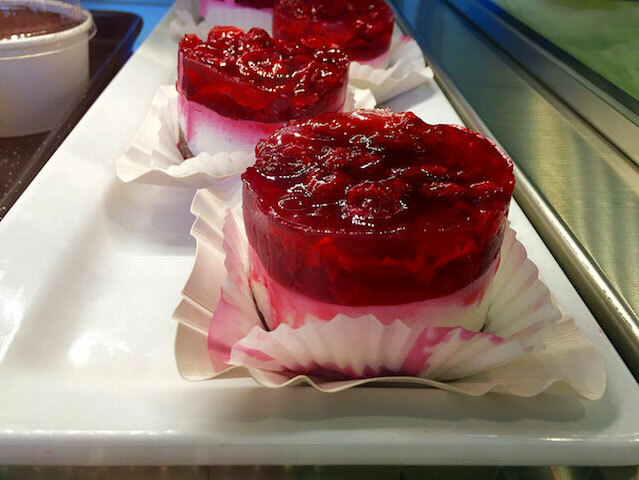 Wow this place has got the desserts! 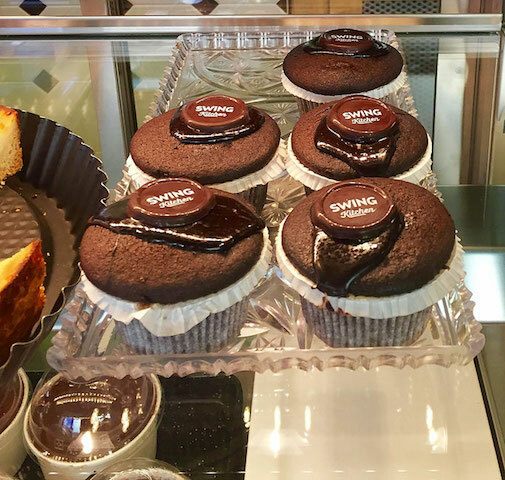 They have vegan soft serve chocolate and vanilla ice cream, tiramisu, cheesecake, chocolate muffins, raspberry yogurt tarts, and chocolate almond cakes. 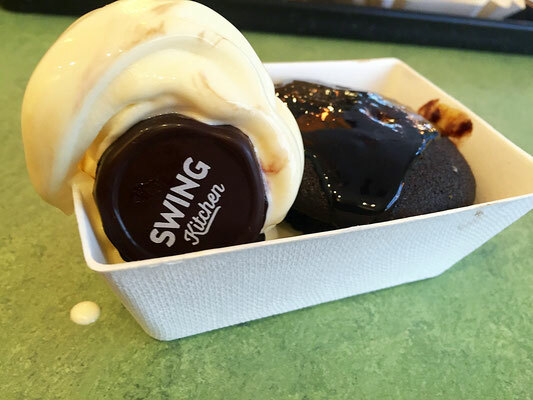 I got the Hot & Cold, which is a warm chocolate muffin drizzled with hot fudge sauce, accompanied by chilly vanilla ice cream and a dark chocolate medallion on top. Bam! 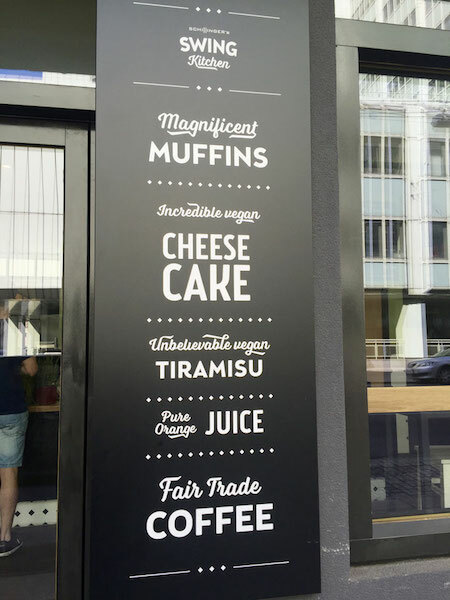 cakes, muffins and tarts - oh my! Drinks range from fresh-squeezed fair-trade orange juice, lemonade, a range of natural sodas, and a even a bio fair-trade coffee bar. 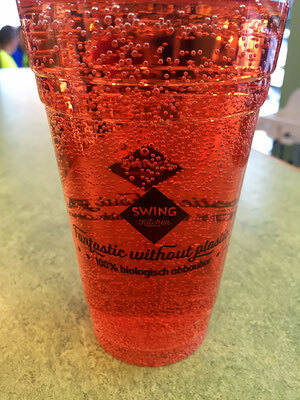 I tried a light refreshing cherry soda and loved the biodegradable cup it was served in that said "Fantastic without Plastic"! 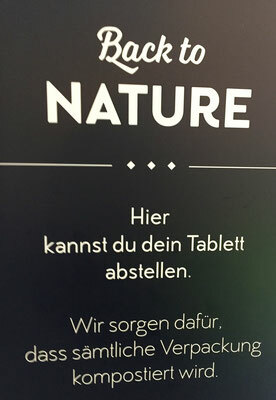 What I really love about Swing Kitchen is their commitment to the environment. 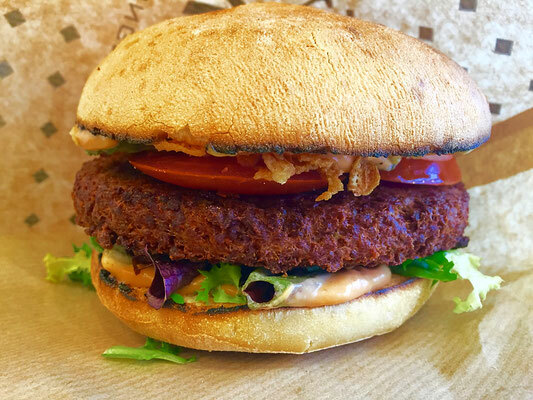 In addition to being 100% plant-based, they also use eco-friendly biodegradable packaging made of renewable materials. They also compost, and aim to source their food from local, GMO-free, fair-trade sources as much as possible. 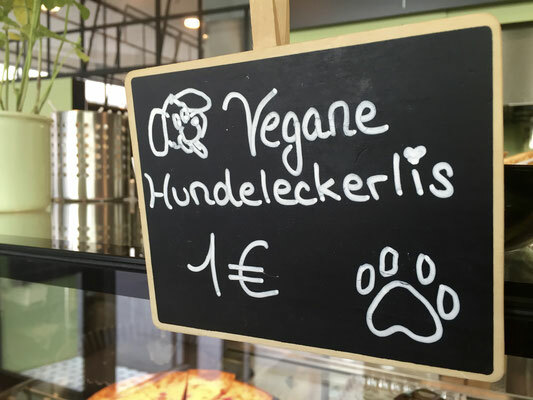 Also, they even sell vegan dog treats for the pups that visit! "Vegan alternatives consume 95% less energy , 85% less water , 96% less grain, 93% less acreage and 92% fewer greenhouse gases". Visiting Vienna? 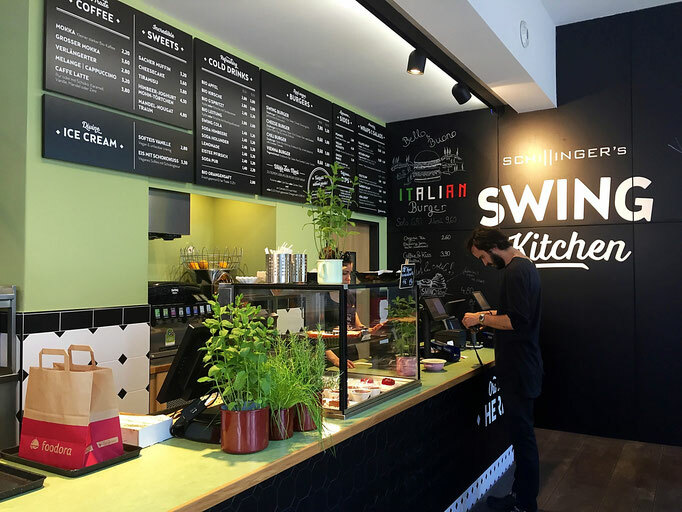 Visit Swing Kitchen at Operngasse 24. They also offer delivery!